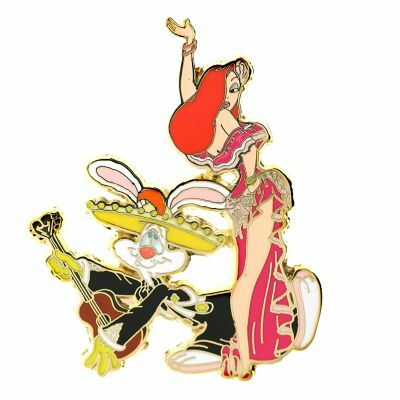 Roger and Jessica Rabbit celebrate Cinco de Mayo in this pin from 2006. 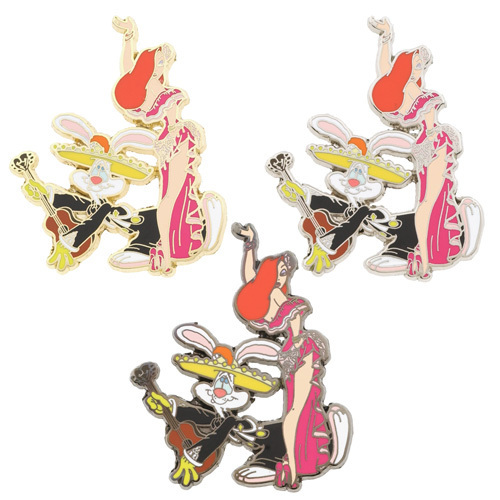 Jessica is dressed as a Flamenco dancer, while Roger plays a guitar wearing a sombrero and black suit. This pin was also part of a one-of-a-kind Artist Proof series available in gold, silver and black metal.